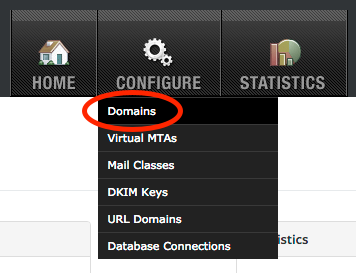 Once your GreenArrow Engine server is configured to receive email for a domain, it can also be configured to forward messages to an external email account. This document describes how to create an email forwarder. 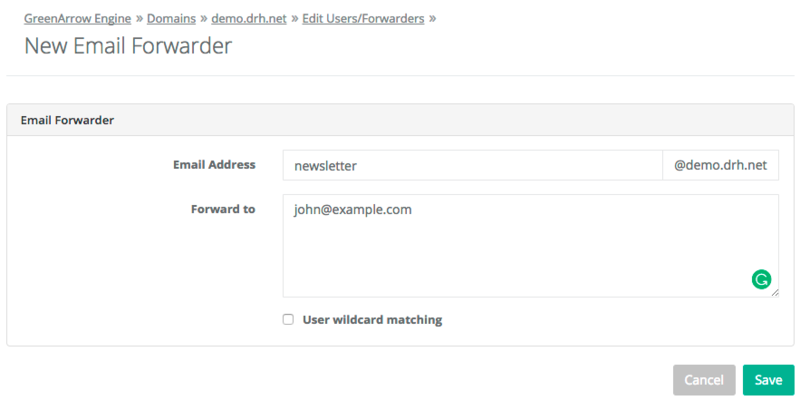 Checking the Use wildcard matching box causes email sent to both the address that’s entered, and any address of the form localpart-*@domain to be forwarded. For example, if the new forwarder is [email protected], then it will forward mail sent to [email protected] and [email protected].